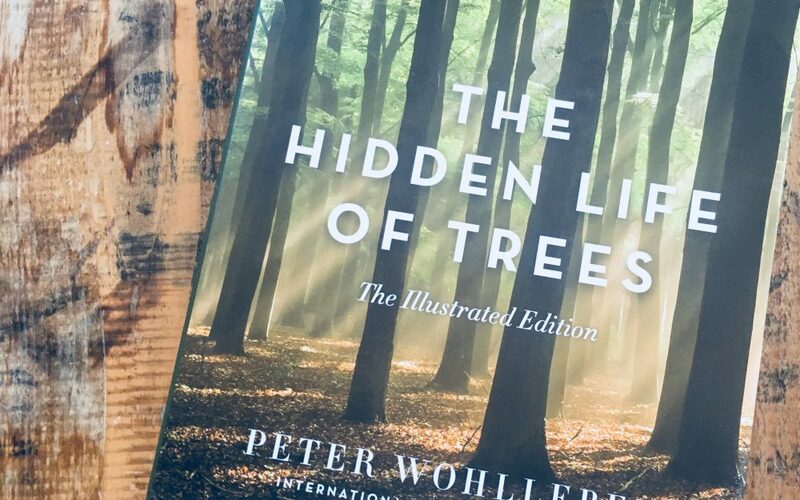 Peter Wohlleben’s The Hidden Life of Trees received a makeover in honour of National Tree Day on September 26. That is to say, the publishers – Greystone books in partnership with David Suzuki Institute – have released a new edition of Wohlleben’s best seller, only this version is illustrated. The Hidden Life of Trees is a non-fiction, story-slash-essay-style narrative detailing Wohlleben’s love of and passion for trees. It’s easy to read and quite interesting – so even if you buy it as a “coffee table book”, you should crack it open and read. Wohlleben recounts entertaining anecdotes followed by educational and informative details about every forest inhabitant. Wohlleben’s stories are accented – nay, nearly over shadowed – by vibrant, gorgeous photos. I swear, I opened the book and felt I had stepped into a forest. It’s truly stunning. Every page has a new visual feast that makes you keep turning. The Hidden Life of Trees is printed in China on ancient-forest friendly paper, so even if it seems a bit of an oxymoron to buy a book about trees, in an effort to save said trees, this book is printed responsibly and with the world’s forests in mind. So pick up a copy today and learn more about the hidden life of trees on National Tree Day.